Follow Bay Area Players at the Pinball World Championship Live! The World Pinball Championships includes three major divisions for competitors of varying skill levels, three classics tournaments featuring older machines, and a juniors and seniors division for our younger and older participants. The first three days of the tournament consist of qualifying for the three main divisions, followed by a fourth day of final rounds where final placement for the top-sixteen qualifiers is determined. Two local players are in attendance this year: Andrei Massenkoff of San Francisco won the A Division in 2011 to be crowned World Pinball Champion. Damien Charlety of Sacramento took 2nd earlier this year at Pinburgh (the other major tournament PAPA hosts each year, and the largest tournament in the world). 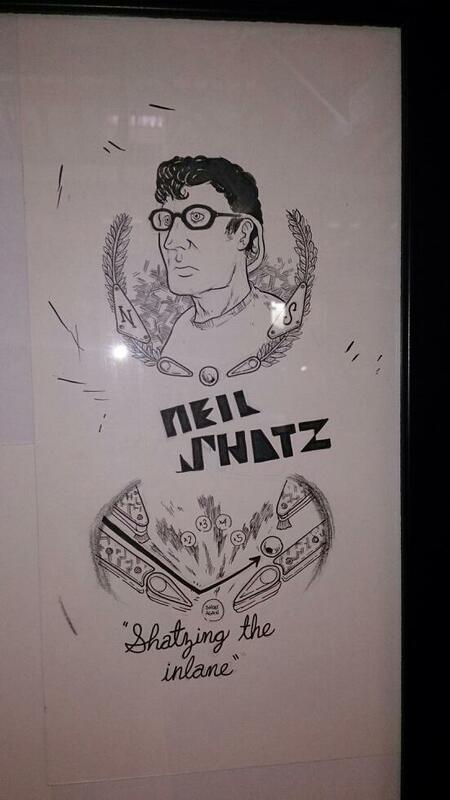 A fan-made poster of local legend Neil Shatz (NES) has been spotted at PAPA. The format of PAPA is considered a brutal undertaking. Like many large, regional events, there is an open qualifying period (in this case, three days, from Thurs to Sat) during which players can purchase entries and attempt to qualify as many times as they want. PAPA adds an additional twist, though: each entry consists of five games and your score is based on how well you do on all of them. It’s not enough to get one lucky game. You need to put together a solid run to advance. Three really, really good ones plus two, really, really bad ones = bad entry. I used this format when I ran the tournament at the Pacific Pinball Exposition in 2011 and saw the endurance and mental toughness it takes. It’s very common for a player to be in the following scenario: their first few games go well and they just need an average or better game to close out a solid entry that will get them into the finals. Then they play their last game and tank it, and realize they have to start all over again. Woe to the scorekeeper and anyone else nearby at the conclusion of that game. During the three days of qualifying for the main tournaments, PAPA also runs Classics tournaments each day. Players have to budget their time (and money) between qualifying for Classics and the main tournament (and sleep is occasionally nice). Oh, and if you manage to qualify and make the finals, you have to play at your best for a fourth day to try and win! It’s a meat grinder but when the best of the best make it through on Sunday, no one will utter the phrase “so-and-so just got lucky”. The finals will be live-streamed with overhead cameras and live commentary on Sunday but I was unable to find the schedule details. They generally go live early on Sunday and with the time zone difference, it’s likely they’ll be on air by 9 AM PST and finish around 2 PM PST. 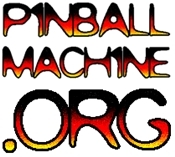 ← San Francisco Pinball Needs Your Help!